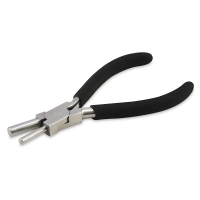 Get uniform loops every time with Beadalon Bail Making Pliers. This wire art tool has two different sized ends (mandrels) so you can bend wire to make bails or other wire wrapping patterns that are same size each time. The Small pliers feature 4 mm and 2 mm (0.15" and 0.07") ends. 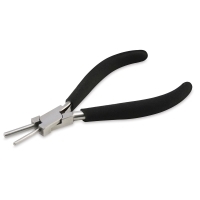 The Large pliers feature 8 mm and 5 mm (0.31" and 0.2") ends.